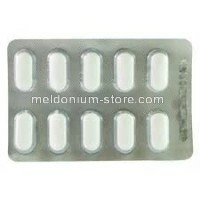 Buy Meldonim in UK, this is something that is relatively easy to achieve compared to the rest of the world. 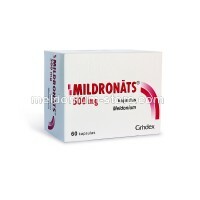 Meldonium is the active ingredient and in most cases are sold with brand name Mildronate by Grindeks or sometimes you can see some vendors who sell other product, it can be called Meldonium by Olainfarm. Both of these products originally are manufactured in Latvia. Meldonium is sold in 3 forms. 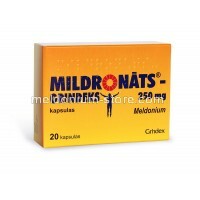 First and the most common form is 250mg capsules in packs of 20 or 60 capsules, this form is sold without prescription in pharmacies in Latvia, Lithuania, Belarus and Russia. Then there is the form of 500mg per capsule and is sold in packs of 60 capsules, and is prescription. It is a little weird that one can buy just a lot of non prescription packs which will amount to prescription pack. The third form is injections. 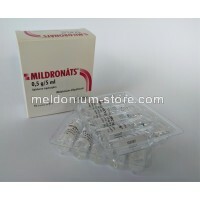 It can seem that it is hard to buy Meldonium in UK since it is not sold in local pharmacies but there are plenty of vendors online, the difference is in the location and some more details. Lets suppose that you find a vendor online who sell Meldonium. There are few things that can possibly make you worried. First of all the payment method , I suggest customers to look for some kind of reassurances like PayPal at least for first time payment or look for shops who offer samples. Second, you could be worried about the customs, here I suggest that you order form vendor who ships from inside of EU, this means that packages are going to go through with high level of probability. Also Meldonium is nothing like highly regulated substance, in countries where it sold , no one is considering it risky. Moreover it has been around there for several decades that means that long lasting negative effects haven’t been recorded, which is something that can’t be said about a lot other substances around which are used for performance enhancement. In conclusion I would like to say that it is not hard nor dangerous to buy Meldonium in UK if you just know what to look for and how to buy it. I hope that I have given you a good insight how to do it.